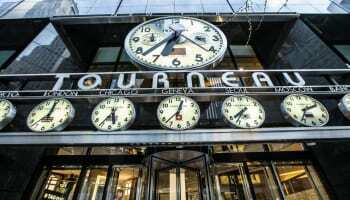 It has been seven months since Bucherer’s acquisition of The Watch Gallery hit the headlines and the Europe’s biggest luxury watch retailer is ready to reveal its plans for the UK market. 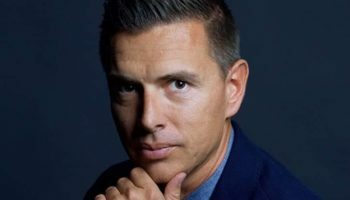 In his first interview since he sold his company to the Swiss giant, David Coleridge, now managing director of Bucherer UK, gives a personal account of his dramatic year and describes how Bucherer intends to grow its key outlets in London before considering any further expansion across the country. Watchpro: Some people are born entrepreneurs and born to own their own businesses, others are happier to be managed as part of a team. Which are you? 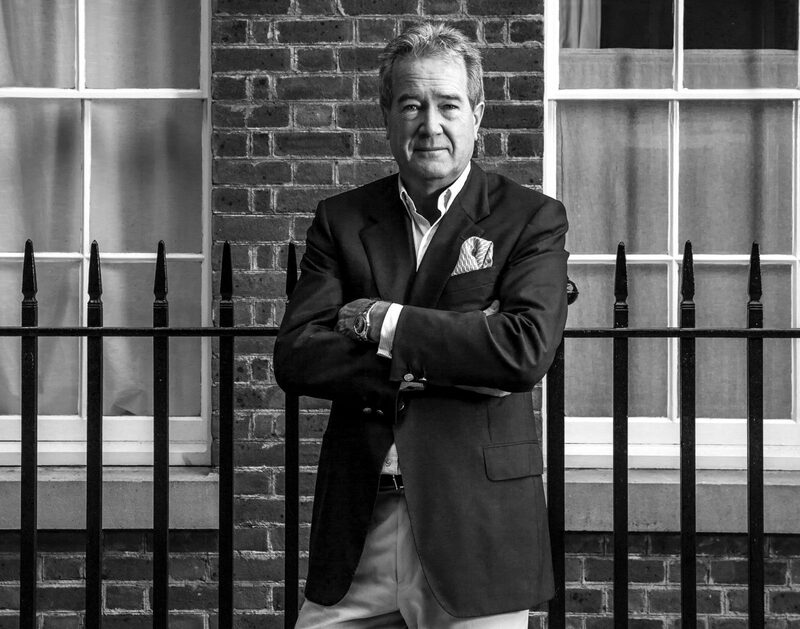 David Coleridge: I spent 20 years working within the Richemont Group, so I have done the corporate world; I have done the entrepreneurial world. I have enjoyed both. I am 60 years old and now I am in the lucky position where I can choose. For the last two years we have been all about selling the business, and now I am free again to focus on running the business, which was always the more enjoyable part. So, I am absolutely loving it and our new owners have struck a lovely balance between getting involved with us and leaving us to get on with it. They are talking to us about what we are doing, rather than coming in and doing it themselves. WP: How much stress do you go through with a company like The Watch Gallery, when so much of your business is dependent on contracts with third parties, whether that be Selfridges or the watch brands that work with you? David Coleridge: It isn’t like that. What is stressful about a company like ours in our industry, particularly when you are selling it, is macroeconomic factors such as exchange rates, political decisions, events like terrorism, etc. You can spend a lot of time planning for tourists in London, and then a terrorist event might happen. However well you have planned, if something terrible does happen, as we saw in Paris, tourists won’t come. The stress for me has been whether macro events would affect the performance of the business. Being part of a large secure group such as Bucherer removes that stress. WP: Speaking of macroeconomic and political events. What did you think when you woke up to find we had voted to leave the European Union while you were deep into negotiations with Bucherer? David Coleridge: We started selling the business in May last year. We had the naive assumption that the referendum would be irrelevant to us because we would vote to remain in the EU. We had bids in at that point, and then the Brexit vote delayed all of those conversations through last summer. Our presumption was that the referendum might cause a tiny uptick in sales of 5-10%, but the pound crashed and in July last year our sales doubled over the prior year. The publicity about the weak pound around the world was the greatest advert we could possibly imagine. No marketing campaign could ever achieve the same thing. It even coincided with a relatively strong dollar, so even the Americans have been coming here and shopping, which they never normally do. Since last summer, the brands have put their prices up, but it is still marginally cheaper in the UK than in the rest of Europe, giving us a competitive edge. That Brexit vote, which gave me incredible stress at the time, has proved to be beneficial to the business. WP: Even year-on-year comparisons between this summer and last summer, post Brexit? We are only now seeing the important comparisons that look at July and August this year compared to July and August last year. David Coleridge: July was not bigger but, year-to-date, January to the end of August, we are substantially up. Even with the Brexit benefit last year, we are double digits up on last year. 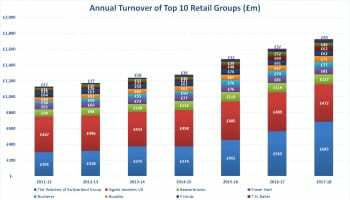 WP: Is London now in a position where the major watch retailers are not adding real estate, you are needing to grab market share from each other from existing stores? David Coleridge: No, sales in London are continuing to increase this year compared to last year; and 2016 was up on 2015. The increase in tourism is driving the market. WP: Is the quality of watch retailers in London a draw in itself for watch collectors, or is it just a fantastic tourist city? David Coleridge: People come to London because they want to come to London. It is not like Switzerland where they travel specifically to buy watches. People go to a Swiss city, and Bucherer’s home city Lucerne is a good example, specifically to buy luxury watches. People rarely come to London just to buy a watch. While London remains a cool and attractive city to visit, tourism numbers will go up and our challenge is to engage with them to buy a watch while they are here. WP: Tell me a little more about the process of selling The Watch Gallery. Were there many potential buyers? David Coleridge: We spoke to potential buyers from all over the world: Europe, America and Asia. Around 95% of the conversations were with other players in the industry. We were well-financed by banks and there was not much opportunity to leverage us. What we offered was a really nice stepping stone to one of the most strategically important markets in Europe. London is one of the most developed and most competitive, so it is extremely difficult to break in; nobody could just come to London and open a shop with all the right brands because the key brands are not looking to add new retailers. That is what appealed to Bucherer. 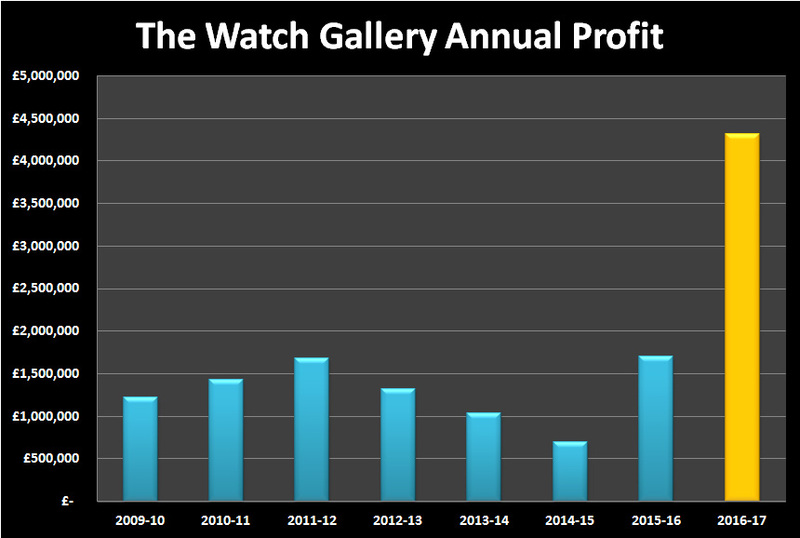 WP: How do you value a business like The Watch Gallery? On one hand, the company is so dependent on contracts with Selfridges and the major watch brands, on the other hand you have something that nobody else can create. David Coleridge: Simplistically, it is worth what somebody will pay for it. We had a great deal of interest but had to balance that with what would work best for our partners. It is one of the reasons we always expected the buyer to be from within the industry. Take the example of Rolex or any of the leading brands. We would not have just gone to them with the news of who our new owners were after the deal was done. We spoke to them about who would be a suitable new owner. Therefore, when you are having a conversation with a potential buyer like Bucherer, we were confident that the deal would have the blessing of the key brands. If we did not think we would get that blessing, then we did not pursue those conversations. There have been instances, particularly in Asia, where retail businesses have been sold, only for the watch brands to cancel their agencies shortly afterwards. We are of a scale that means we are in constant contact with the management of Rolex in the UK and there has been great mutual respect between us. Nobody runs their business more thoughtfully in the UK than Rolex. We are now part of one of the biggest Rolex retailers in the world, so I hope that has been a good outcome for Rolex. Bucherer brings to us a degree of stability, longevity, brand understanding beyond that which we had before. That must be very reassuring to Rolex. WP: What can you tell me about Bucherer’s history – a potted history of everything I need to know? David Coleridge: Originally they were a jeweller, formed in 1888. They are based in Lucerne, and the current Lucerne store is still on the site of the original store, but it is now three storeys of watches and one storey of jewellery on top. 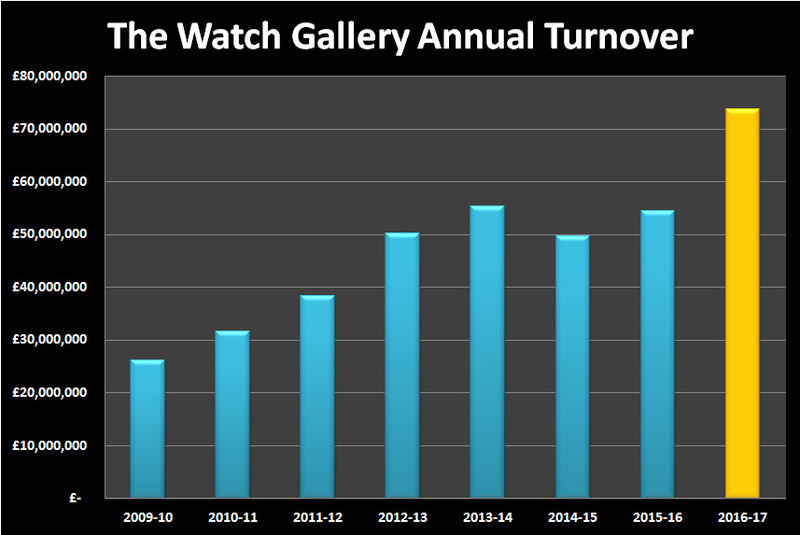 Bucherer will tell you, modestly, that it is probably one of the highest turnover watch stores in the world. 700,000 people visit that single store per year. They often serve 3,000 customers in a day. Mr Bucherer today is the third generation. Although over 80 years old, he is involved in the daily business. The company caught the boom of Chinese buying as it expanded. 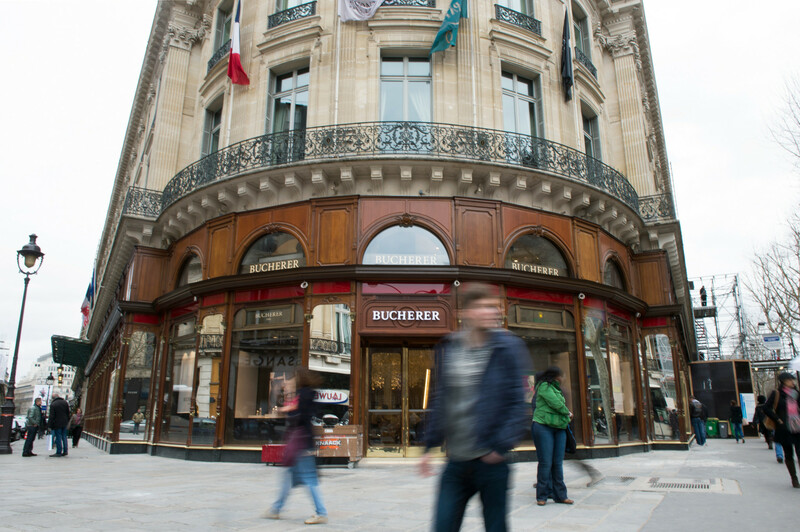 As Bucherer, it has 29 stores across Europe; it has 15 branded boutiques for Omega, Audemars Piguet, Rolex, etc. ; it also has Bucherer fine jewellery, which we are going to launch here in Selfridges in mid-November. Mr Bucherer is particularly keen to get jewellery launched here because that was the foundation of the business. It will take a while, but we will transform all of our multi-brand stores into Bucherer stores over the next couple of years. Those will all offer Bucherer fine jewellery. Expansion outside of Switzerland has all happened over the past 15 years. Of the 29 stores, 15 are in Germany, one in France, one in Austria, and now there are our stores in London. Bucherer is the first European retailer present in multiple countries — perhaps a trend of the future. After all, the brands are all international. Will this happen on the retail side? Not in the same way — it will be different — but I have absolutely no doubt we will see retail consolidation. I cannot speak for Mr Zumbühl, the chief executive of Bucherer, but I am sure we will continue to expand. Today there are very few international retailers of any scale. I think in five years there will be several of substantial scale. WP: Could Bucherer expand outside of London? Would the brands allow it? David Coleridge: Every brand wants balanced distribution. Bucherer’s ownership of us in the UK gives them some balance. Before this acquisition, for some luxury brands, the dependency on Aurum has been too great. My view is we will expand because this will improve the balance for the fine watch brands. We have the expertise, the ability to invest in stock. I am not saying we have any plans to expand outside of London, but I would imagine it would be welcomed. There is no downside. We will, in the first instance, grow by expanding the existing stores. Thereafter? Wait and see. 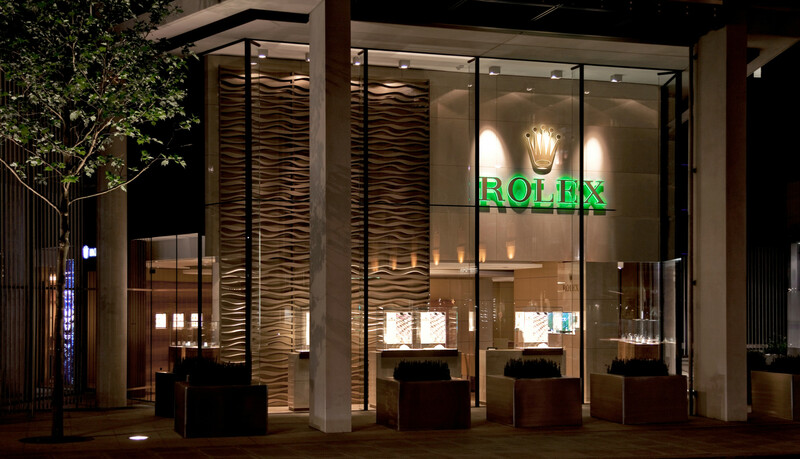 The Rolex boutique at One Hyde Park in London’s Knightsbridge, is the biggest Rolex showroom in the UK. WP: Do you mean more square footage for existing stores? David Coleridge: Yes. We took more space in the Selfridges Wonder Room last year, and we are going take additional space to put fine jewellery in there as well. So, we will continue to expand in Selfridges. Of our other shops, we are looking to expand all of them except Rolex at One Hyde Park where it is already the largest Rolex store in the country. Within a couple of years we will have added a significant amount of square footage. 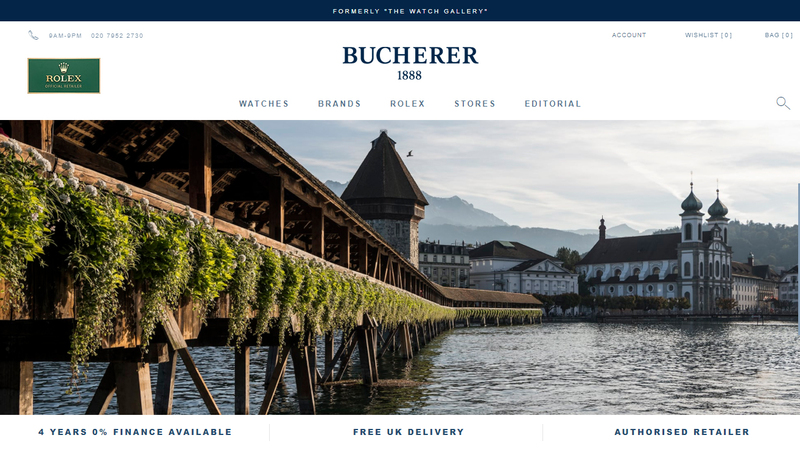 The other investment is The Watch Gallery becoming Bucherer online. 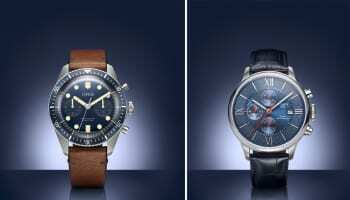 Thewatchgallery.com will become Bucherer.com. There is a lot of investment in that. WP: When the acquisition was announced, Bucherer.com was miles behind Thewatchgallery.com, particularly with regards to transactional ecommerce. It struck me that Bucherer bought an ecommerce business out of the box. David Coleridge: That is right, they have. The company will start the consumer rebranding process at the beginning of October. 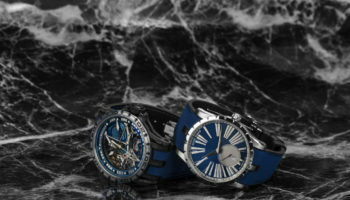 Thewatchgallery.com will change to Bucherer.com, and the branding on our shops will change. At that same time, a transactional website for Bucherer in Switzerland will launch. That is what they got from us, and that moves them on apace. Arguably, not on that date but soon after, Bucherer will be able to go transactional in any of the countries where it trades. That will make it the first pan-European transactional website. WP: That sounds extraordinarily complicated from both a technical point of view and a business point of view, particularly with the way watch brands want to control their agencies in each country. David Coleridge: The agency side is not too difficult. All of our online sales agreements with the brands are already pan-European. We can sell our watches to any customer in any European country. That is a requirement of EU law. If they give us an agency to sell online, without exception that gives us the right to sell anywhere in the EU. WP: The million dollar question is whether this gets us any closer to Rolex selling online? David Coleridge: No, we will not be selling Rolex online. I am not aware of any plans from Rolex to go transactional online at the moment. What Rolex is doing is giving great content online to its authorised network. They are enabling their authorised dealers to differentiate themselves strongly from unauthorised sites. This has been an important step forward. WP: Do you think the Bucherer name is well-known to your customers today? David Coleridge: Not yet. Our challenge is to show customers what more we can bring to them. It means we can bring them more stock; it means we can bring them limited editions and exclusive stock; it means we can invest more in the shops. The level of service is already fantastic, and the ethos of Bucherer staff is very similar to ours in terms of wanting to give that really special service. But we can add more to it. I also think there is a genuine interest in us becoming a Swiss-owned company. We are from the heart of the industry. A lot of our staff will visit the Bucherer head office in the next two months. They will see the Bucherer operation and I think that will add to our authenticity and legitimacy. We are offering the best fine watches from Switzerland and we are a Swiss company. We know what we are talking about. WP: Do you think the culture of the company will change? David Coleridge: I hope so, a little. We used to think we were good at long term planning because we plan three years ahead. Bucherer plans 10 years ahead. Bucherer takes great pride in being a family business, and that is very much the way we have viewed our business. Our challenge is to become part of the Bucherer family, and to retain our values but on a different international scale. One of the favourite times of my career was living and working in different parts of the world when I was with Richemont. I hope that being part of Bucherer gives my team in the UK those same opportunities to work in different parts of the business internationally. A big proportion of my team are from Europe and I really hope they get the opportunity to move around. When we were selling this business, we wrote down a list of all the potential buyers in the world. There were 101 names on that list. The company that was top of that list from day one was Bucherer. It was our dream scenario because it is a pan-European retailer, and we see the future of retail being much more international. My fantasy came true. WP: Does your team feel more secure now? David Coleridge: Security is something that is really important. A number of my most adorable staff came to me on the day the sale was announced and asked me if it meant they would lose their job. The answer was, of course, no. Bucherer bought the people, the amazing people that work here. Bucherer visited every shop, mystery shopped every location, and got a feel for how they worked. They must have liked what they saw. WP: Are you contracted-in for a period of time? David Coleridge: I am contracted in, very willingly. Ten years from now, I would love to still be working here in some capacity. If I still have something to offer in ten years, then I hope Bucherer will still want me around. WP: Will the price of the sale ever be known? David Coleridge: No. The price will never be public. WP: The year since Brexit must have dramatically changed calculations if the business was valued using a multiple of earnings calculation? David Coleridge: Inevitably these deals and prices are reached on a combination of historic performance and future forecasts, and the figure we reached was right for everybody. It wasn’t too expensive and it wasn’t too cheap. It was a fair price. Six months after the deal, we all still feel this is the case. WP: You have spoken about further consolidation and internationalisation of the luxury watch retail business. Do you think Bucherer will continue to grow in this way? David Coleridge: You would have to ask them, but I cannot believe they wouldn’t be. Bucherer is constantly looking for good opportunities on an international basis. If I see a great opportunity for them in the UK, I will certainly discuss it. WP: Would emerging multiples like Laings, Chisholm Hunter, Prestons be the sort of targets that would be of interest? David Coleridge: There are a few things we are contemplating in the UK but our focus is London at the moment. If you look at what Bucherer does in Geneva and Zurich, where they are rebuilding the stores on an enormous scale — four floors — that is the sort of future that Bucherer sees. The opportunity to do that sort of thing outside of London in the UK is quite limited. It is one of the reasons that Selfridges attracts is that, outside of Selfridges, Harrods and 155 Regent Street, those outlets are by far the biggest in the UK. We are not contemplating anything outside London, but we’re open to suggestions. WP: Could the US market be next? David Coleridge: I would not have a clue. I know so little about the American market. In my last five years at Richemont I worked with Jean-Christophe Bédos [chief executive] at Birks and Major so we chat when we see each other at Basel, so I know a little bit about his business. But outside Birks and Mayors and Tourneau, I would struggle to name another retailer in the US. WP: It is interesting that Birks is talking about bringing its fine jewellery to the UK as part of the deal with Aurum Holdings, and Bucherer is bringing its fine jewellery to the UK now it owns Watch Gallery. David Coleridge: The greatest strength of being The Watch Gallery is that it defines us as watch experts. The greatest weakness is that the product to sell with a watch is fine jewellery. So to not sell jewellery makes no sense. The jewellery market in the UK is quite tough, so the footfall and the awareness of Selfridges is a great place to start. We will put more people through that shop than any other location in the country, so hopefully we will get off to a flying start with Bucherer jewellery. Also, we have this wonderful customer base that buys watches from us, but how often do people buy watches? If you add jewellery, perhaps you can sell something twice as often. WP: Could it mean taking on other branded jewellery from the likes of Chopard, Van Cleef and Arpels, Bulgari? David Coleridge: In the past, Bucherer has sold other branded jewellery, but they have gone away from it because they have found that, in their own shops, they always sell more Bucherer Fine Jewellery. It is perhaps the largest unknown brand of jewellery in Europe. I have some idea of the turnover, but I can’t tell you, but it is an enormous turnover of jewellery in their 29 stores. It accounts for around 15% of their turnover. Lucerne is largely a tourist destination purely for luxury watches. Outside of that, fine jewellery is closer to 20% of turnover for the rest of the stores. WP: And profit-wise, it will be contributing a lot more than 20%. David Coleridge: I take it as red that it is because they make their own jewellery in their factory in Lucerne. That vertical integration will make it highly profitable. It is what the company originally did and it is what Mr Bucherer is very keen to remind people about.